Phil Tolstad was born in Montevideo, Uruguay, to missionary parents. He attended Conquerors Bible College where he met and married Twyla. 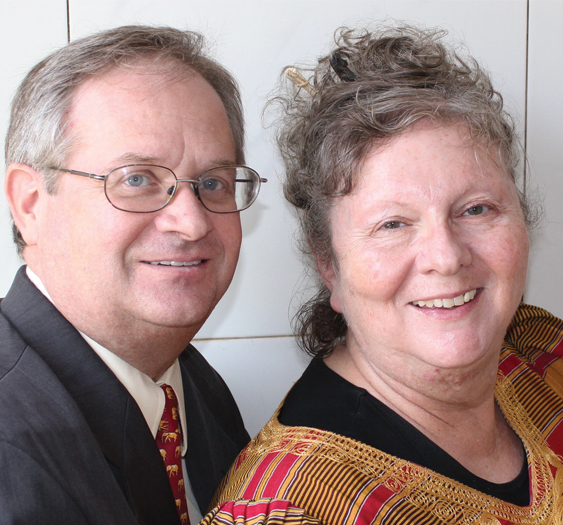 After years of pastoring, in 2000 they received missionary appointment with the UPCI to South Africa. After a few years, their responsibilities were moved to the fields of Malawi and Mozambique where they were involved in the Bible school, established a printing plant and had the oversight of the national works. Upon transferring from Malawi to Uganda in 2007 the church has experienced great revival and growth. From thirty-one churches and 3000 constituents to over 876 Churches and 182,000 constituents. Brother Tolstad is the superintendent of the United Apostolic Church of Uganda and leads the church with the vision to reach every village, trading center and city in the country. The goal of every church is to plant a new church each year. Another goal is to hold an open-air crusade each month in an un-churched village. Each week Brother Tolstad is in the bush teaching and preaching across the nation. Twayla Tolstad is the director of the Apostolic schools in the capital city of Kampala. With over 1,000 primary and secondary students, its major commitment is to reach young people with the gospel and education. Philip’s birthday is and Twayla’s birthday is .